Samsung Galaxy A8. Well, it seems that at last, the rumors of Samung's new mid-range are over. 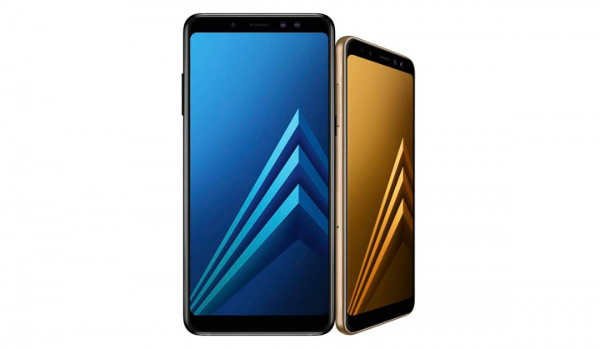 The Samsung Galaxy A8 and Galaxy A8+ have been presented officially and bring many new features. We are going to tell you now all the information about them with their technical sheet with characteristics, price and date of arrival. 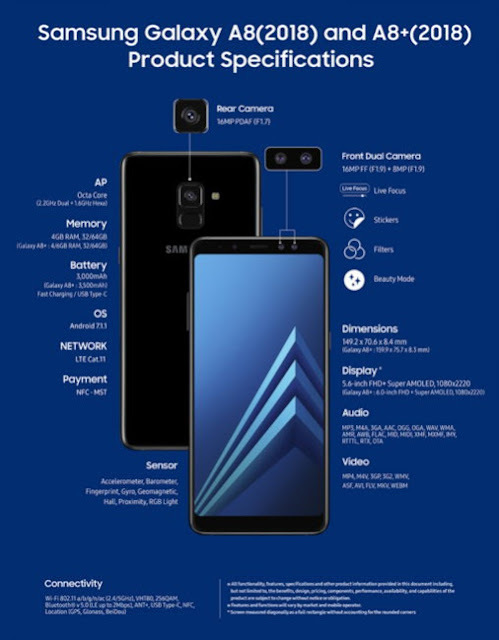 Rumors were that this year, the Galaxy A5 would disappear from the market to give more space to the Galaxy A8, and that these were the new range of Samsung. 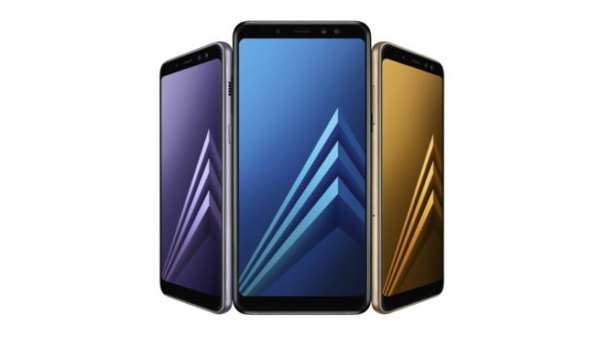 Although this has not been confirmed, given that they can still launch the A5 next year, it seems that these A8 and A8 + that have just been presented are those destined to cover the entire premium range of Samsung, only leaving room for Galaxy J mid-range. Well the most remarkable of these new Galaxy A8 is the fact that they incorporate the infinite screen that we saw in the high range of Samsung last year. These smartphones have a completely renovated design, without resembling anything like last year, but with much similarity to the Galaxy S8, especially in the front, while in the back, we see a single camera with a fingerprint sensor underneath. She, just like the supposed new Galaxy S9. These smartphones have a screen of 5.6 inches and 6 inches depending on the version, both with a SuperAMOLED technology and FullHD + resolution. Its screen format is 18: 9, a format that is being standardized today due to the possibility of leaving such small frames. The processor, in this case, is one of Samsung's own, an 8-core Exynos that works at a speed of 2.2 GHz. In terms of memory, we find 4 or 6 GB of RAM depending on the version, and for storage 32 and 64 GB, still Samsung does not put the 64 GB as standard in the mid-range. Arriving at the section of the camera, we see something quite interesting: do not opt ​​for a double camera in the back but yes in the front, with two sensors of 16 and 8 megapixels with portrait mode, while for the rear camera we see a sensor 16 megapixels with aperture f / 1.7. Other details to comment is that it comes with Android 7, which is quite surprising, with 3000 mAh battery and 3350 mAh depending on the Plus version, and features fingerprint sensor, water resistance and compatibility with Samsung Pay. No, we still have no price for these two smartphone, given that Samsung has not made any great presentation of them, but has put a press release with all the features of both smartphones. They will be available as of January 2018, so there is still one month to know more about them, and we have no confirmation that they arrive in Europe officially.